Avoid wearing pleated shorts unless and until you are playing golf. But anyhow, if you have decided to wear pleated shorts then it's better if you put on some white socks or black socks. But, by doing this you will have an appearance of an old man. So, please avoid! Don't wear athletic/gym shorts during a lunch date or a dinner. No matter how toned or fantastic your legs are, don't even think of wearing these type of shorts. For your gymming this is totally fine but for outing a big NO. Never wear denim shorts or cut-offs shorts as they don't make any style sense at all. Moreover, putting on a belt, tucking your shirt won't help your style situation. Rather, you can pick a nice pair of denim jeans, summer shirt and flip-flops. This is effective only if you have tolerance to wear denims in hot weather. Wear a flat front khaki short: anyhow if you don't like wearing khaki, then go for a stone, navy or olive color. Your overall appearance will look comfy and cool. Only two length of your short will be acceptable : mid-thigh to mid-knee. This short would look great when teamed with a tee or a short sleeve button down. Wear a pair of board shorts: If you are somewhere in a hot climate or in a beach, this type of short is best Always remember, this would look appropriate only in the particular area, if you are no-where near water then wearing this is not a good idea no matter how smart you are. A big YES to a linen short: Only if you are going for a good pool side party, then it's fine. Team your shorts with a leather sandal and a linen shirt. 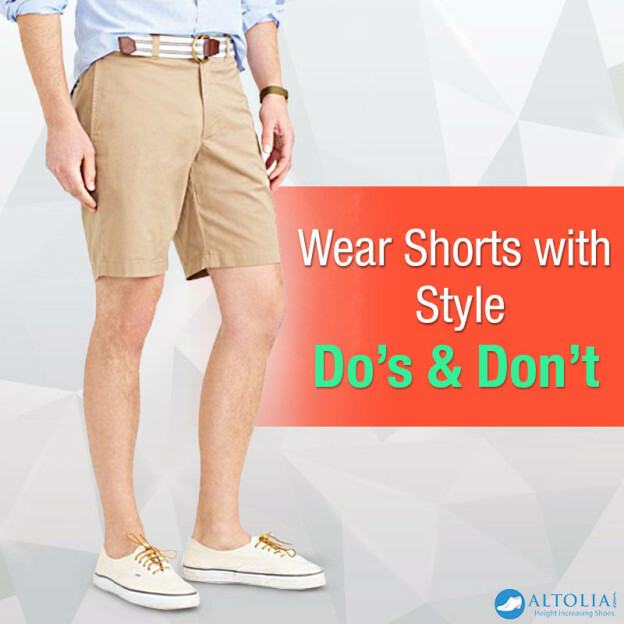 Well, we hope this summer season style of wearing shorts won't be difficult after reading this guide.